Avalon Credit operates within the legal framework of the Fair Credit Reporting Act (FCRA) and the Credit Repair Organizations Act (CROA), and we pursue your rights under federal law to dispute information on your credit reports to the completest extent possible. The FCRA was enacted in 1970 to ensure that consumer reporting agencies act fairly, impartially, and with respect for the consumer's privacy when preparing consumer reports on individuals. It extends consumers the right to challenge information found in their credit reports on grounds of "completeness and accuracy." 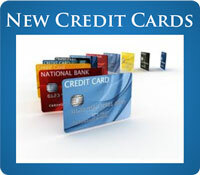 Avalon Credit works to improve your credit by challenging items on your credit reports which you believe to be inaccurate, misleading, or unverifiable, and work through your individual credit reports in a serious attempt to resolve all credit disputes to your satisfaction. Adjusting questionable items which are depressing your credit score is a vital step toward improving your credit standing. Avalon Credit has a hard-working, dedicated, and performance-driven team. Our service is designed to offer consumers an affordable and equitable recourse to the error-prone practices of credit grantors and their credit reporting processes. 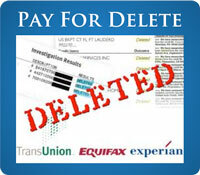 Ultimately, we help correct your credit reports so that you can enjoy a better quality of life. And the sooner you enroll, the sooner you could look forward to a healthier credit report.